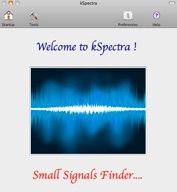 kSpectra Toolkit for Mac OS X! 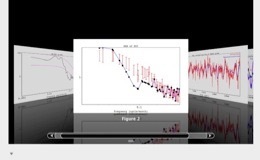 kSpectra Toolkit is a set of powerful tools for advanced time series analysis in many sciences, ranging from finance and economics to geophysics and biomedical sciences. Combination of kSpectra’s spectral methods provides a powerful way to identify and predict oscillatory modes in short and noisy time series. Get your demo copy of KSpectra from our WebStore or KSpectra Lite in Mac App Store ! 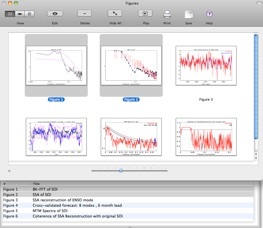 Graphical export in EPS, PDF and QuickTime. Easy and intuitive object-based data management. Accelerate framework for core computational engine, which provides the best optimization for both Power-PC and Intel based Macs. Happy Fishing in Ocean of Noise!